Those Manchurians had a lot to answer for . Here Andrew Lau directs another spectacular film with a sterling cast including Huang Xiaoming ,Shawn Yue and Jimmy Wang Yu..
During the reign of the Qing Dynasty the Yongzheng Emperor founded a assassination squad of elite troops known as the Guillotines. The Guillotines where sent out on secret missions to assassinate all who opposed the Qing rule. Their weapons consisted of specially constructed swords with projectile rings which when launched would attach itself around a victims head and then it's inbuilt blades would decapitate said victim. The Guillotines where not seen in public and where forbidden to read or write . When it's time for the Emperors son to take the role of Emperor he still uses the Guillotines to suppress the Han Chinese ,who consist of farmers ,peasants ,many of which are taken as slaves in what was formerly their own lands. 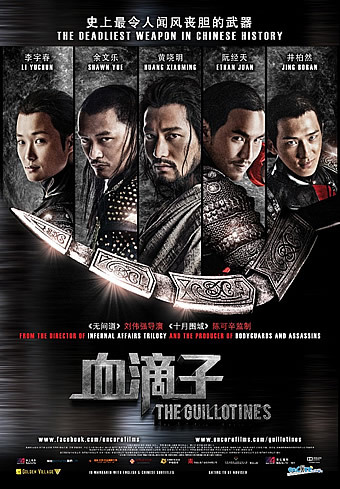 When a rebel Han known as Wolf ( Huang Xiaoming) becomes the top of the Emperors wanted list the Guillotines top squad are sent out to capture him ,led by top Guillotine Leng ( Ethan Juan) . Leng is a former Han who was taken as a child to play with the emperor along with another named Haidu ( Shawn Yue) .The two of them are the closet the Emperor ,being more like brothers ,though they do have to adhere to constraint . When Wolf is captured and brought back to the Emperor ,Leng sees it as a chance to improve his position within the imperial court . But Wolf escapes with the help of his rebel friends and kidnaps a female member of the Guillotines by the name of Musen ,who just also happens to be the daughter of the Guillotine commander Gong Le ( Jimmy Wang Yu) . Leng is instructed to go forth with his team to recapture Wolf and free Musen. But one thing Leng did not count on was that Haidu would accompany him under the orders of the Emperor . With the event of the modern age and the Chinese adapting to Western ideas ,the Emperor has adapted his military standing by investing in firearms and canons. With the formation of the the firearms squad ,the Guillotines will become obsolete .The Qianlong emperor wants to abandon the Guillotines and cover their dark past and secrets of the deeds they have done. This becomes more easy when Leng and the Guillotines along with Haidu find Wolf and Haidu relays the find to the emperor who deploys the firearms unit. But the captured Musen has become enlightened to what the Manchu have done to the Han people. When the Firearms unit attack and one of Wolf's disciples gets killed and Musen is seen helping them ,it gives the Emperor the reason to he needed to get rid of the Guillotines. The Guillotines are labelled traitors , the Guillotines are sentenced to death along with Musen's father . Now Leng and the Guillotines must not only fight the Han but also run from their own. Leng of course has a get out ,he is a direct servant to the emperor ,he can return ,but as a Guillotine will he be executed to cover the dark past of his acts for the emperor. Andrew lau always delivers on the action front .though the film does have it's moments of drama . I did find the film a little tough to connect with at first ,mainly because of the story being from the Manchu side ,if you watch a lot of old school movies your know the Manchu are always the bad people ,they oppressed the Han and made their life a misery . But when certain things come to light ,you start to route for Leng ,maybe not so his team who purposely come across as loud and over confident. Huang Xiaoming as Wolf is akin to a prophet ,and many will see the connection to the battle of wits as seen in many films depicting Jesus and the Roman empire. Wolf's refuge where he and his people live is like a scene out of the bible. ,he even dresses in white and even has the hairstyle. I don't know if Andrew Lau intentionally depicted it like this or It is just coincidence. The action in the film is quite well filmed and the special effects for the firearms and projectile weapons are well done. The story starts off more akin to watching some of Lau's earlier works like Stormriders,A Man called Hero or the Duel. Where those films continued their over the top story telling and use of way out effects and action ,the Guillotines becomes more sombre and is much about the choices of the characters and their feelings for one another. 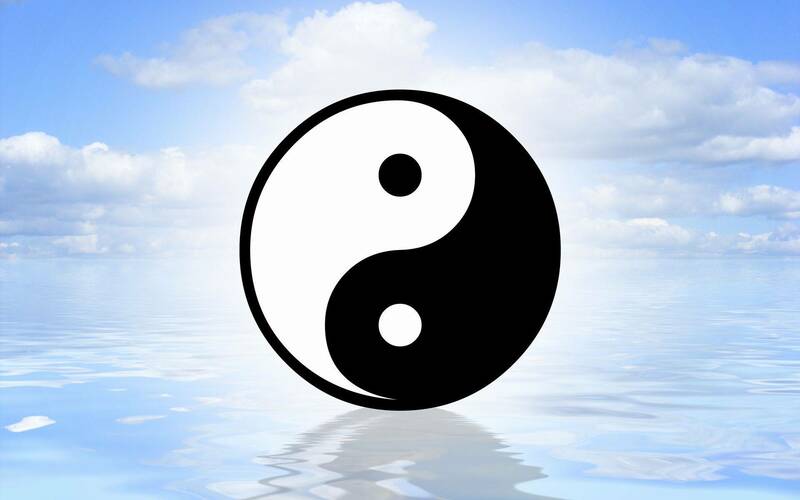 It shows that if you choose to lead a life of violence ,you can't just change your mind and live a free and easy life and not be judged for your past accounts. I enjoyed the the Guillotines it grabbed my attention from the of and that's a good start for any film in my book.